Is your workplace a safe place and prepared for a critical first aid emergency? 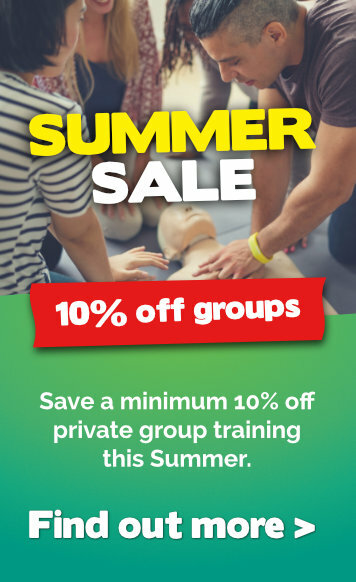 Have you considered that while not everyone may be required to get formal first aid training, ANYONE AND EVERYONE CAN AND MAY NEED TO HELP to provide first aid basics to save a life in an unexpected and unfortunate event? We believe there are five essential easy to learn workplace first aid skills that you and each of your colleagues should be confident and prepared to perform. Why not share and discuss these at your next staff meeting to get everyone up to speed? Dialling “zero, zero, zero” might seem like a no-brainer, but sometimes communicating your location, details about the casualty and the best entry-point for an ambulance at the premises can be all too overwhelming when you’re working it out on the fly! Make sure everyone understands best entry points for each area of the property. 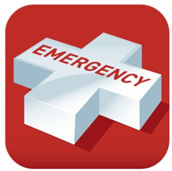 For giving your location easily and accurately, we recommend downloading the free Emergency + mobile phone app developed by Australia’s State Emergency Services. It has a big easy button for making 000 calls and displays your current GPS coordinates and closest street address onscreen. Make sure everyone is clear about the boundaries when it comes to safety. In an emergency the first priority is to ensure we don’t add to the casualty list by responders getting hurt. Eliminate dangers to yourself, others (non-injured) and the injured, in that order. Never proceed until it’s safe to do so and use appropriate personal protective equipment like disposable gloves. Equally as important to protecting someone’s airway is controlling blood loss as it delivers oxygen to our brain, organs and tissues. If blood is flowing freely from a wound, padded pressure should be applied ASAP. Firm pressure bandage should then be applied to the wound. If bleeding severely, call 000, apply a rolled bandage directly on the wound and quickly compress it tightly against the wound by wrapping as tight as possible with a second bandage (or piece of clothing), stretching it to it’s full extent. Always use gloves or have the casualty apply pressure themselves. If they appear pale, cold and clammy, call 000 for an ambulance. Do yourself, your colleagues and your friends a favour and share these must-know tips with them today! Still doing boring, long, confusing first aid courses? Learn first aid the fluid way and save time, have fun & leave confident & certified!